Wouldn't you love to have a unicorn to hang around with all the time? This is the next best thing! 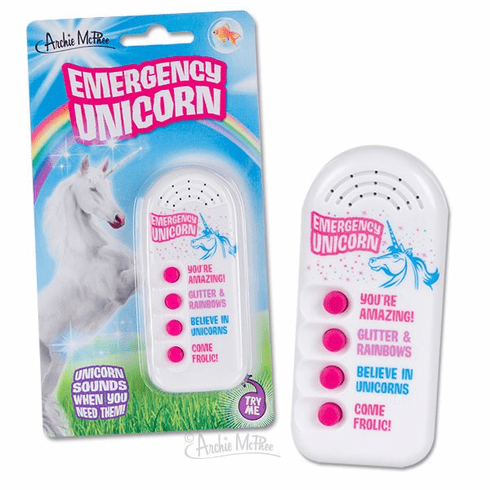 This 3_" (8.9 cm) electronic Emergency Unicorn noisemaker includes four phrases You're Amazing, Glitter & Rainbows, Believe in Unicorns and Come Frolic! Great for irritating grumps who don't believe in unicorns! Plastic. Three LR44 batteries included. Illustrated card sleeve.